Eight years ago at a church social in my hometown, I was a few months into my new job at the American Dairy Association when a dairy farmer by the name of Don Hempfling told me he was proud of the work we were doing at the checkoff, bought me a “social burger” and he told me thank you. That conversation and gesture ultimately became a defining moment in my career and from that evening forward, I was committed to working with farmers. Over the years I’ve been extremely fortunate to work with you, learn from you and call you my friends. The core values of this organization and the leadership you provide are a true testament of what doing the right thing in life leads to. As I reflect on nearly a decade of employment in the dairy industry, I am thankful for the opportunity to be a small part of the many great programs we’ve built over the years. What I’ll remember the most about the programs though, is that the people involved were great people who valued doing the right thing. While I am technically resigning from DMI and will be starting a new venture, the success of the dairy industry and working on behalf of farmers is still core to defining success. I look forward to building the UpField Group into an organization that farmers will be proud of, will create revenue for your industry and will share the values of this organization. Finally, thank you for all you have done and continue to do as leaders of the dairy industry. As a staff member at DMI, it is a privilege to be invited to the Board meetings and to spend time with you all. Over the years I’ve had the good fortune of spending time with many of you and your families at these meetings, and as a result, I believe I am a better person both professionally and personally. 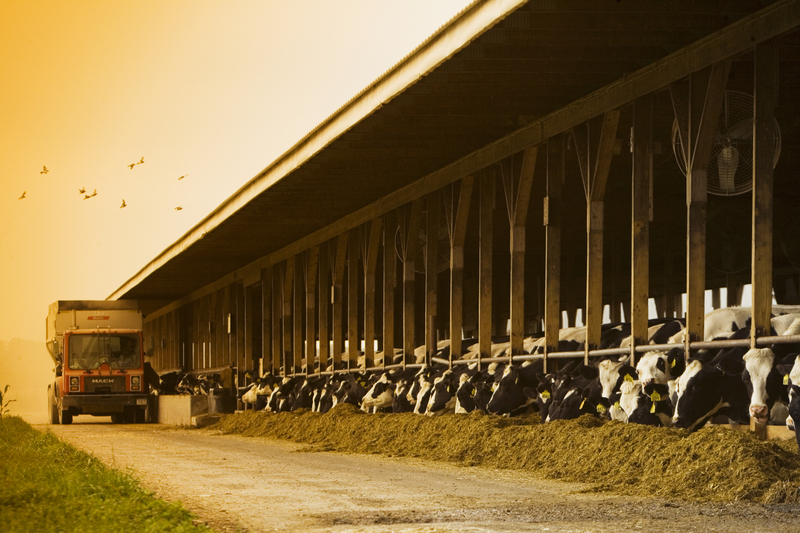 You are the leaders of our industry, but more importantly of your families and your farms. That dynamic makes you a special group of people and I am thankful for the opportunity to have worked with you and for you. As I resign from DMI, please know it is not a resignation from agriculture or farming, but rather a decision to continue onward in agriculture, working in a new way on behalf of a great group of people. 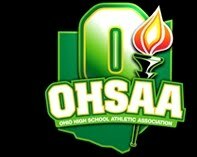 Over the course of the past two weekends I have spent time supporting high school sports in Ohio at the OHSAA state swimming and wrestling championship tournaments. Working in these sports have been a relatively new experience for me as I have always participated in team sports. My cousin Aaron was pretty much a stud swimmer in high school and went on to a successful career at Rutgers University, and many of my college football teammates at the University of Findlay were successful high school wrestlers, but was as close I really came to individual sports at the high school level besides my average showing each year as a member of the OGHS Track team. What I’ve learned in the past few weeks is that there is something fundamentally different between team and individual sports at the high school level when it comes to competing at the state tournament. While I will always believe the greatest accomplishment one can achieve is a team championship title, at the end of the competitive day, it takes a group of individuals to contribute to that effort to accomplish that goal. There is certainly a crowned team award for first place in high school swimming and wrestling, but ultimately in sports such as swimming and wrestling, the attention is placed on the state champion. There is only one athlete atop the standings board in individual sports and I have been fortunate to experience some state champions in Ohio be crowned over the past two weeks. Without a doubt the highlight of the past two weekends has been enjoying the all-access pass for the tournaments granted by the OHSAA. With the American Dairy Association’s involvement in high school sports and partnership negotiated with the OHSAA, we have been afforded access to the personal sights and emotions the athletes competing in the tournaments experience. As the relationship manager with the OHSAA, I have been quite fortunate to be in the action first hand. It’s wonderful to see up close and personal the emotion on a state champion’s face as they beat their opponent and realize they are number one. Maybe the best feeling I’ve experienced in recent weeks came after experiencing the first state championship wrestling match of my life. The 103 lb match yielded a champion from Lakewood St. Edwards, Dean Heil. The kid is only a freshman but stood like a man in the circle of the Jerome Schottenstein Center platform as a champion. The excitemet on his face and abundance of emotion as the referee raised his arm as state champion caught me off guard. As the reality set in for Dean Heil that he was number one in the state of Ohio, reality set in with me that I was incredibly happy for him… Not so much that he had just earned points for his team, but because he was the best in the state of Ohio at what he does. It was a new feeling for me to experience, and I greatly appreciated the opportunity. Heil was a gracious champ; shaking hands with his opponent and his opponet’s coaches. Then feeling the excitement take him over, he jumped into the arms of his awaiting coaches; embracing in a heart-felt bear hug. Soon after feeling the love from his coaches, Heil was grabbing his warm-up and off in a fast jog for the bleachers… At the end of his jog was his father; waiting for his son with a proud tear and open arms ready to embrace his state champ. It gave me goosebumps as I watched son and father share that moment. Overwhelming joy and pride radiating from a hug between father and son… It was a beautiful moment that only sport could have provided. As I approached hour 12 of that particular work day, I became overwhelmed with a sence of fulfillment and reward; and realized that sharing that particular moment with Dean Heil and his father was the reason that I do what I do… It wasn’t about the long workday any longer, it was about the brief moment that only a long day could have offered. Invizzible Ink was created to highlight the positive aspects and rewards that sport offers our communities. Experiencing first hand a freshman in high school take the Division I honor of best of the best was a beautiful and very rewarding opportunity. It reminded me that sports marketing and working in sport is more than a business, it’s an opportunity to make a difference.